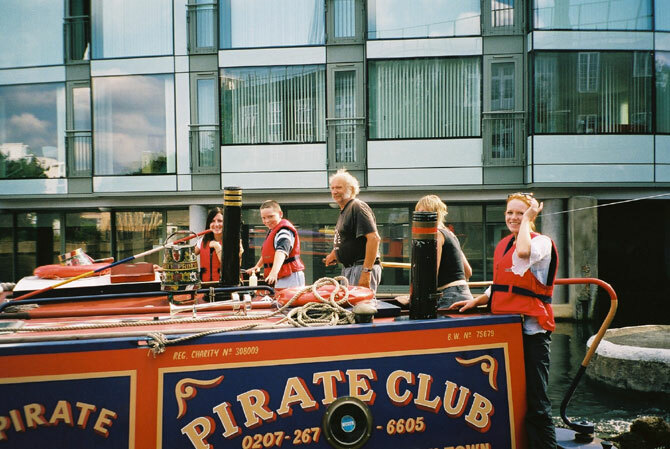 The Pirate Castle offers a range of accredited and in-house training courses in canal boat handling and trip management. As a founder member of the National Community Boats Association (NCBA), we were at the forefront of creating nationally recognised training, accreditation and licensing frameworks for community boating operations across the U.K.
Our trainers have many years' experience across a wide variety of craft (please see the biographies below), so whether you intend to work on a community boat or wish to learn the fundamentals of boating and canal etiquette, The Pirate Castle is the place to come. Accredited training courses generally run over weekends throughout the year, with weekday sessions available by prior arrangement. You will be invited to stay on our boats overnight for certain courses - mixing with other trainees, sharing experiences and chatting with the trainers is all part of the experience. 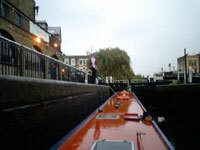 Our courses are run from the Pirate Castle in Camden Town, north London. You might want to have a look around Camden Market or slip into the West End at the end of the day. If you want the training to be run on your own boat, this may be possible provided the boat meets NCBA criteria. Our trainers are also available to run courses at your own project, subject to meeting certain requirements. Andrew Carpenter is our Boat Manager and Trainer. He became involved in Community Boating in 1998. He has had wide experience of both wide and narrow craft, and is a registered trainer for both the RYA and the NCBA. He also holds a Boatmasters Licence. Andrew’s other interests include Art, Music, History and Natural History. Petr Mitterbach is another of our Trainers and is also one of our long standing Volunteer Skippers. 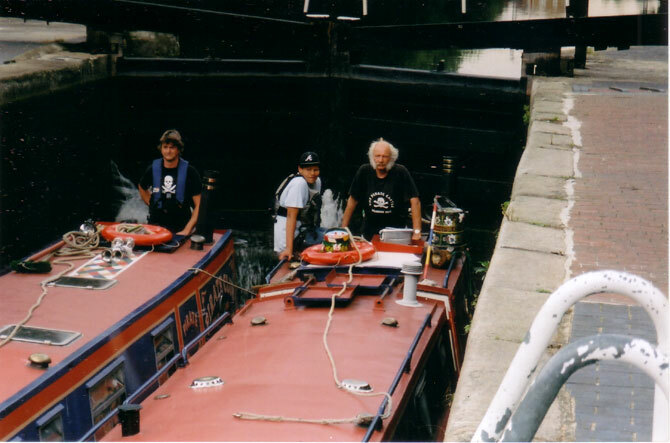 He became involved in Community Boating at The Pirate Castle in 2004 and is very experienced with narrowboats on London's waterways. Petr is also a registered trainer for the NCBA. His other interests include loud music, cycling and scuba diving - but not all at the same time! 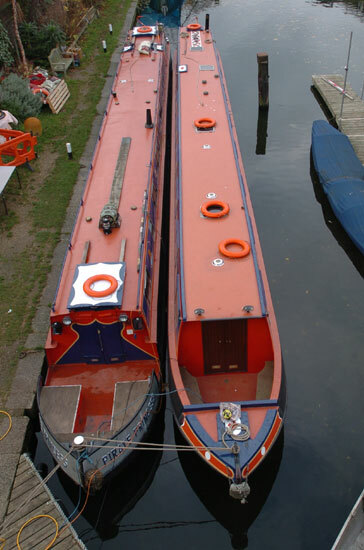 The Certificate in Community Boat Management is designed for those people who work with a variety of groups on the inland waterways. It is endorsed by the Canal and Rivers Trust and supported by the Maritime Coastguard Agency. 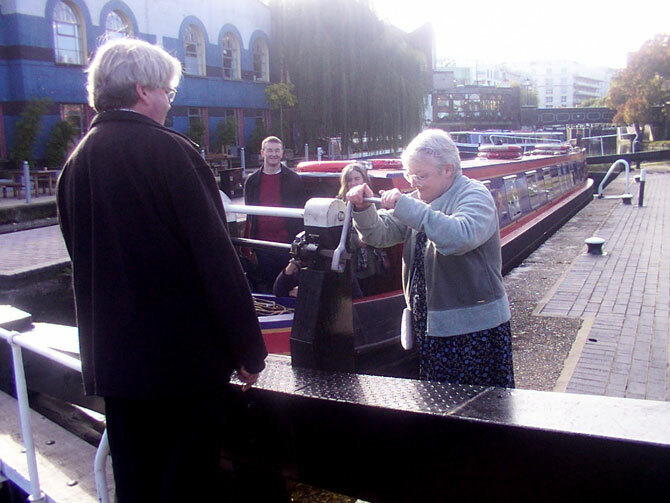 The course draws on current best practice as supplied by the member organisations of the NCBA, operating a wide variety of craft for use by community groups, often made up of disabled and disadvantaged people. It represents the minimum recommended level of training to become a community boat skipper (or small passenger vessel skipper). The aims of the course are to give crew of community boats on non-tidal rivers and canals training in boat handling, boat maintenance and the management of group safety and welfare. Anyone of the age of seventeen or over can obtain a CCBM Certificate. It is however assumed that you will have some experience of working with groups and have previous practical experience of boating. The CCBM Course itself is of 20 hours duration and usually run over a long weekend, typically from a Friday evening until Sunday afternoon, including an evening session on the Friday and Saturday. We also encourage our candidates arriving on the first evening to stay on the boat if possible, as this gives everyone a chance to get to know each other socially over the duration of the course. The maximum number of candidates per course is five. Successful candidates will qualify to operate boats carrying a maximum of 12 passengers on the inland waterways of the UK. The Community Crew Course is a foundation course, designed to build the levels of skills and experience needed to crew a community boat. A qualified instructor will lead the course which is of 20 hours duration. The NCBA course can be delivered over a long weekend or spread out over four 5 hour days or longer if required. 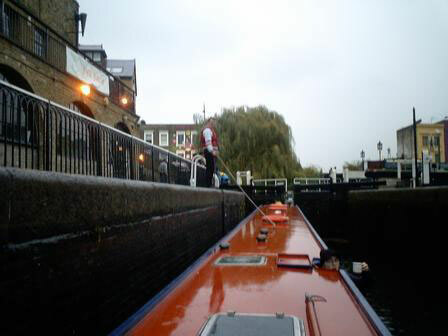 The course will provide you with all the skills and knowledge needed to act as crew on a community boat. You will become the extra eyes, ears and hands of the person in charge of the boat. The maximum number of candidates per course is five and the minimum age requirement is 14. You can take as little or as much time as you need to complete the course depending on your previous experience and aptitude. The Boat Handling Course is designed primarily for those who own their own boats or those who are contemplating a boating holiday. 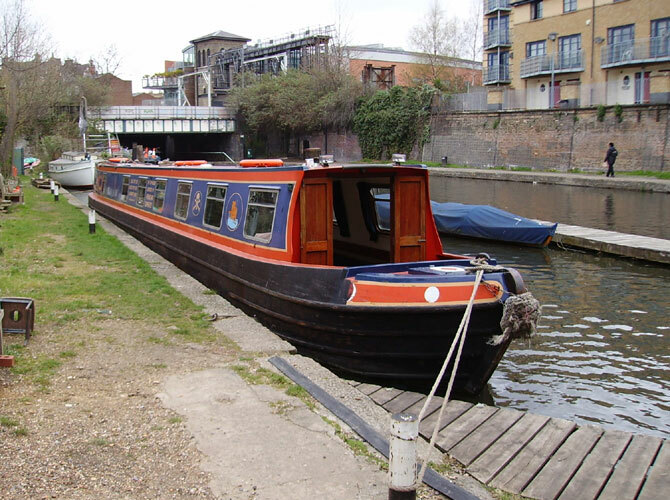 It will give you the foundation skills to operate a boat safely and efficiently on inland waterways, and is suitable for those with little or no experience, be they young or old, or those who would simply just like to brush up on their boating skills. The NCBA certificated course is taken over two days with the maximum number of candidates per course being four, and the minimum age 14. Note: This course is not suitable for those wishing to be skippers of small passenger vessels (Please see CCBM above) and is only available by arrangement with us. Please contact us for possible dates. If people are training for the purpose of becoming volunteer skippers for The Pirate Castle then some or all of the training costs may be subsidised (you will always have to at least pay the certification and paperwork costs yourself). As CCBM training is costly, our policy is to only take on volunteers who can commit to helping us run our services. Outside groups wishing to do an NCBA training course at the Pirate Castle should ring Andrew Carpenter on 0207 267 6605 to discuss their requirements and obtain a price. The training will give you a range of skills in boat handling. It should help to build your confidence too. That is enough in itself, but we hope that you will decide to give some time to the cause of community boating. The Pirate Castle is always in need of trained skippers to run trips for the club members and the outside groups that use our boats. We also need a pool of volunteers to maintain our boats. Help is wanted for marketing and promotion as well.